In February 2016, the federal minister of Environment and Climate Change Catherine McKenna directed Ontario Power Generation to carry out additional studies to support OPGs controversial plan to bury radioactive wastes beside Lake Huron. 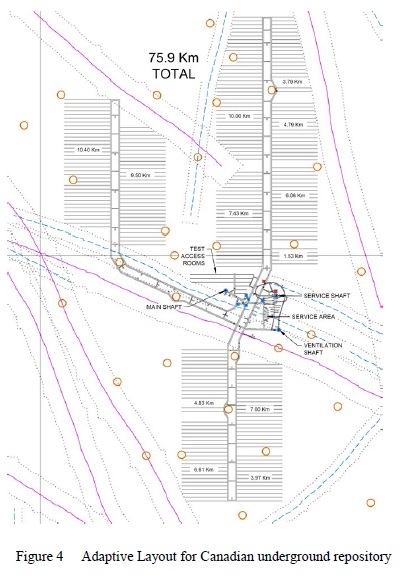 It was at least the third time around the block for one of the studies - an assessment of alternate locations - after the requirement for an evaluation of alternatives having been included in the initial guidelines for the review, then the subject of information requests from the Joint Review Panel, and then specific direction from the Joint Review Panel to produce a study of alternate locations (a requirement that extended the hearing into 2014). OPG presented an initial outline of their intended filing in meetings with "stakeholders" on November 11th and the Canadian Environmental Assessment Agency on December 2nd, but have remained coy as to whether they are going follow the Minister's direction to produce a study of actual alternate locations, or are going to try once again to slide through with a generic composite description of what an alternate location could be like. As of noon December 28th the OPG reports have not been made available. The reports will be posted on the public registry. For decades the nuclear industry and their fellow travellers in the federal government have been pitching the idea of burying nuclear waste in a large rock formation. The search has been on since the 1970s for that elusive pluton - many will recall drilling in Massey and Atikokan in the early 1980's as part of that phase of the nuclear industry's waste burial campaign - but no evidence has ever been presented that a rock formation can be found of the size and characteristics the industry describes, large enough to accomodate a massive series of caverns in which nuclear waste would be stashed deep underground. Since 2005, the Nuclear Waste Management Organization’s project descriptions infer that the NWMO has a plan: they know what they have to do and how to do it. 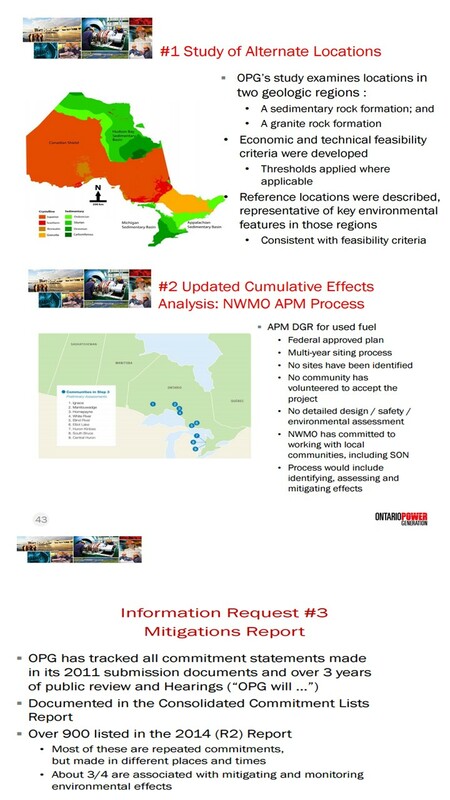 That “plan” - to bury all of Canada's high level nuclear fuel waste in a "deep geological repository" - has been the subject of numerous community presentations since the NWMO launched its site search in 2010. But the nuclear industry has now uveiled new versions of the plan. The revisions to the NWMO’s “Adaptive Phased Management” plan suggest that the NWMO’s “Learn More” program should be redubbed “Learn Again” (“Learn More” is the NWMO’s program for interacting with municipalities engaged in the NWMO’s search for a “willing and informed community”). The changes to their plan are significant. The earlier NWMO plan was outlined in their 2005 “recommendation” to the federal government. In 2012, a 594-page report described in more detail a deep geological repository in the crystalline rock of the Canadian shield, followed by a report in 2013 describing a repository in sedimentary rock. From 2005 to 2015 the plans for a repository in the Canadian Shield depicted a flat-topped cylindrical container that would be placed either vertically in the floor of an underground cavern or horizontally in the room itself. In late 2015, project descriptions began to replace the images of that waste container with one of a sphere-topped container placed in a large box filled with buffering materials. Dubbed “Mark II” by the NWMO technical staff, the revised fuel container design features a copper-coated steel vessel with welded ends. A potentially more significant shift in the NWMO plan is in the layout of the underground repository. For ten years, all NWMO project descriptions showed a single “compact” block layout with an underground footprint of two kilometres by three kilometers. The NWMO’s predecessor plan by Atomic Energy of Canada Limited had a similar layout, as do the plans of other countries with a geological repository program. The NWMO siting process is inching forward in the southwestern Ontario municipalities of Huron-Kinloss, South Bruce and Central Huron, with an early November round of “open houses” disclosing potential sites for initial drilling as part of the next Phase of the NWMO’s nine-step site selection process which was officially launched in 2010. Nine municipalities are in the siting program, and all nine are in the second phase of “Step 3”. According to NWMO-informed media reports, the initial boreholes “would be for research purposes only, and it would not be expected to be a repository site”. An NWMO media spokesperson indicated that a shortlist of potential sites has been technically reviewed by NWMO as "suitable for initial borehole drilling," but that only one is anticipated to be selected for drilling to test its geology, possibly later in 2017. In South Bruce, the four possible locations for drilling are just north of Teeswater on proposed industrial land, east of Teeswater in a landfill, treatment plant/ gravel pit, north of Mildmay in a treatment plant, and south of Mildmay in a municipal landfill. 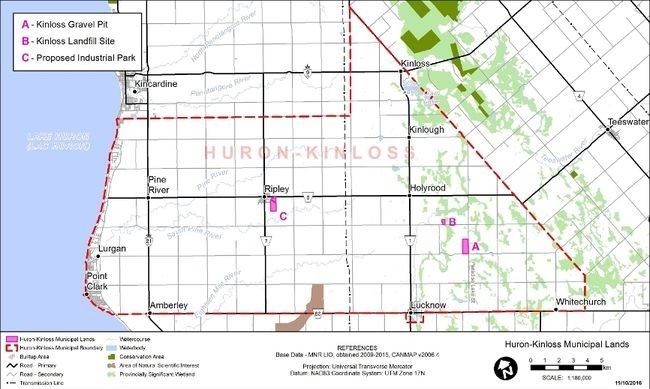 In Huron-Kinloss, the three possible locations for drilling are south east of Holyrood in the Kinloss gravel pit, south east of Holyrood in the Kinloss landfill site, and east of Ripley in a proposed industrial park. No potential drilling locations have been disclosed for Central Huron. In technical sessions at a nuclear industry sponsored conference in mid-September, a new approach was outlined, generically titled “Adaptive Deep Geologic Repository Layout”. It signifies a huge shift: instead of situating the underground repository in a single rock formation, the notion of “adaptive layout” introduces the idea that a repository design could “bridge across fractures”. For decades, the Canadian program has assumed that a sufficiently large and homogeneous rock formation will be available to host a repository, but forty years of research has yet to identify such a rock formation, dubbed by tongue-in-cheek critics as “the perfect pluton”. The NWMO now appears to be on the brink of giving up the concept that a single rock formation can be found and then engineered to provide a barrier to the release of radioactive waste. The NWMO is inviting bids on borehole drilling and testing in three locations in the Ignace area. A posting invites proposals for “initial borehole drilling and testing of three boreholes” and indicates that “the RFP process will also identify proponents that will be pre-qualified to submit proposals for future borehole drilling opportunities in the Ignace area for the period from 2018-2021”. Purportedly “locations and timing for initial boreholes" will be decided "with the community, which includes Ignace and Wabigoon Lake Ojibway Nation." 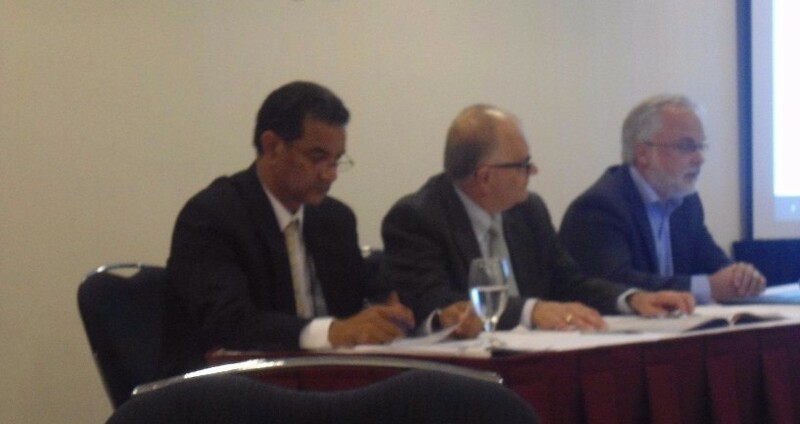 Northwatch's critique of the Canadian Nuclear Safety Commission's Regulatory Oversight Report for Waste Management, Storage and Processing in Canada: 2015 was developed in part through a series of community roundtables in early November where roundtable participants provided feedback on the report and on Northwatch's initial analysis. The report - and Northwatch's written submission - were subject of discussion at a CNSC meeting in Ottawa on December 10th. No public presentations were permitted. 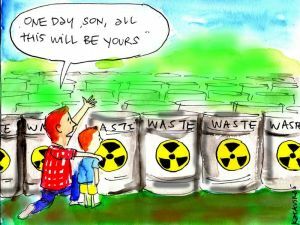 The long term problems of what to do with nuclear waste remain entirely unsolved, writes Andrew Blowers in The Ecologist. Yet governments and the nuclear industry continue to peddle their untenable 'bury and forget' policy of deep geological disposal, which only unloads the toxic legacy of modern day nuclear power and weapons onto uncountable future generations. Click HERE to read. In Canada, as in several other that use nuclear power - the nuclear industry is committed to the idea of burying the nuclear fuel waste in a rock formation in a yet-to-be-identified location. In 2002 the federal government gave the nuclear industry permission to begin a search for a suitable site and a willing community, and in May 2010 the Nuclear Waste Management Organization formally launched their search for just such a community. Know Nuclear Waste is a Northwatch project, delivered in collaboration with concerned residents in communities being studied as possible burial sites for high level nuclear waste and other public and expert organizations. 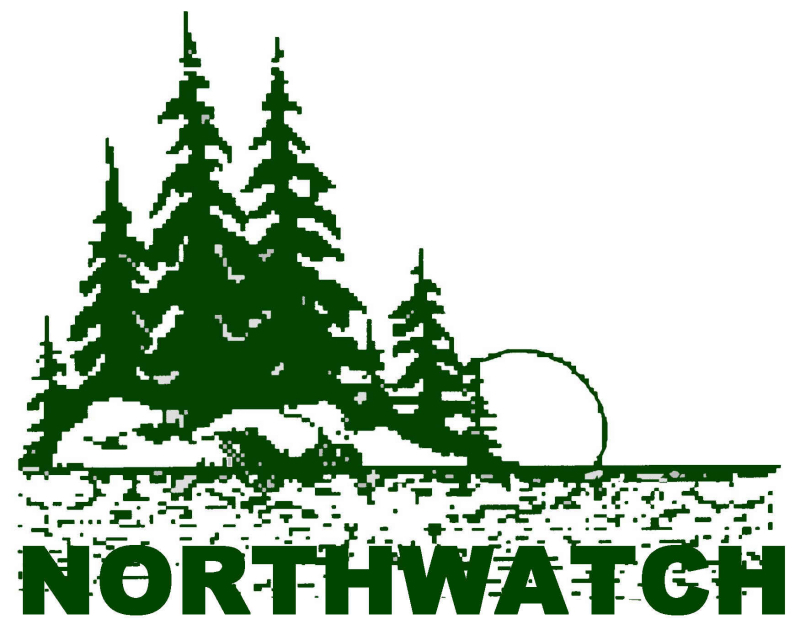 Northwatch is a regional coalition of environmental and community groups in northeastern Ontario. Northwatch News is published at least four times per year. To keep in touch, visit of FB page or sign up for Northwatch News or our newsletter on nuclear waste or visit our general web site, our web site about nuclear waste burial, or our web site about the Energy East pipeline conversion. Copyright © 2016 Northwatch, All rights reserved.